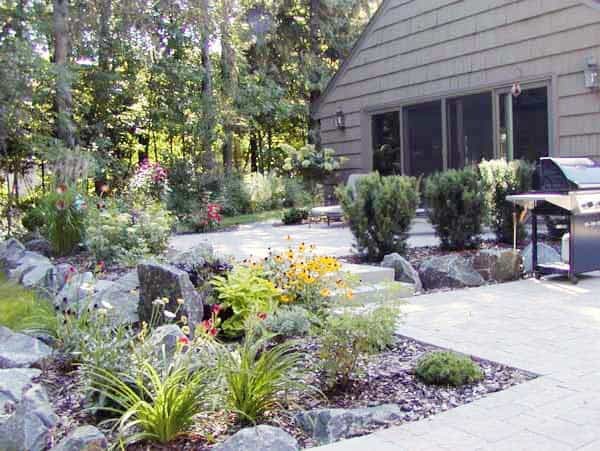 Create a statement with Pavers or Natural Stone Walkways and Patios. The best part of the Twin Cities is being able to enjoy the nice weather in a variety of seasons. Getting outside to grill and visit with friends and relatives is a wonderful way to either reconnect or stay connected. It’s nice to have a solid place to entertain both to help keep your lawn alive, keep people safe and prevent dirt from getting tracked into the house. 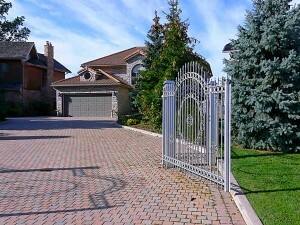 Walkways are the first impression to your home they welcome guests to your house and are a great way to amaze them. No longer will guests be forced to walk through wet grass or muddy ruts, they will have the luxury of walking across a beautiful paved surface with dynamic patterns and wonderful plantings to accent both the walkway and your home. A patio will provide you and your guests a place to visit and enjoy the seasons. They are a great place to put a table set and have a grill or outdoor kitchen. This will help keep your house clean and provide people with plenty of space to spread out if they’d like to. Not only do walkways and patios provide value aesthetically they also provide value to your home. A house with a walkway and patio will add resale value to your home.